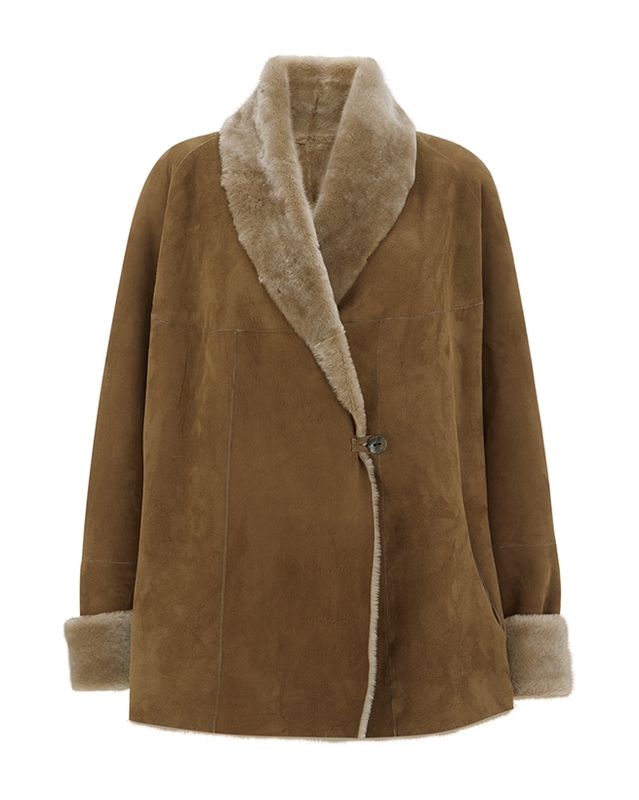 A flattering draped silhouette and simple elegant details make this sheepskin jacket a fail safe choice year round. Crafted in Great Britain, from close-shaved merino sheepskin, for a sophisticated look and silky feel. It is finished with a luxurious shawl collar, cuffs that can be turned up or down, cozy pockets and a single button closure. Customers are finding this piece a generous fit, and would therefore recommend opting for a size down from your normal outerwear size. 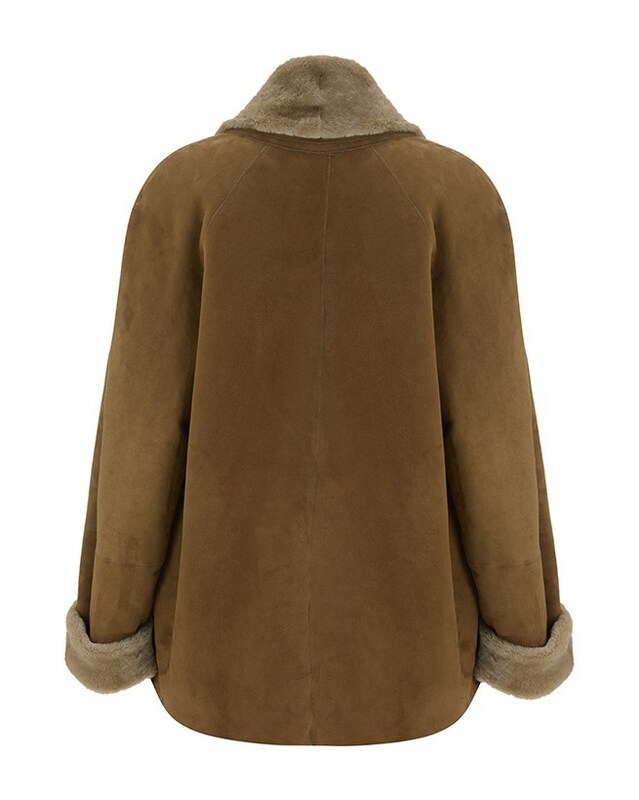 This is an exquisite jacket made from the softest sheepskin. Sadly it was just not right for me and I had to return it. Excellent customer service and a speedy refund. Thank you. This jacket is even more stunning worn inside out.. It is so beautifully made that you can do this and show off more of the pretty soft colour of the fleece. Excellent. For years I have been trying to find a sheepskin that didn’t weigh a ton or look like my Mother’s favourite ‘car coat’. Hooray- this stylish swing lightweight coat in a warm colour (won’t show a smudge of makeup on collar as NOT white) is all I dreamed of. Yes, I gulped at the price but it is a one off that will last for years and I won’t stagger around looking like a yeti but certainly will feel as snug as one.